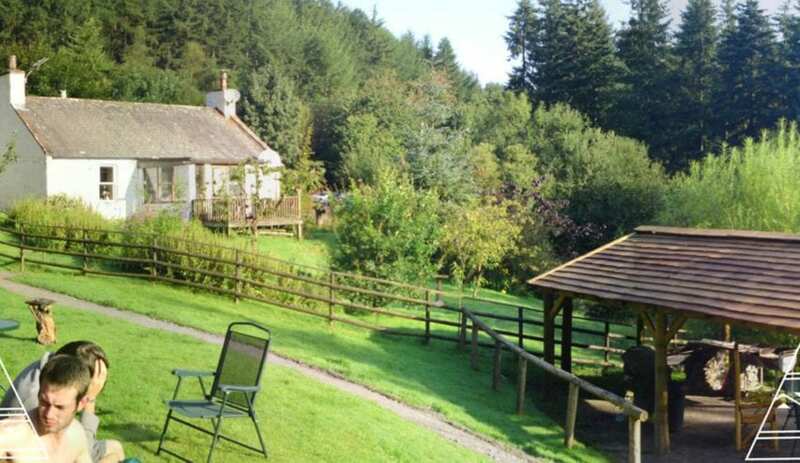 Marthrown is set in the heart of Mabie Forest, about 6 miles south of Dumfries.It has a traditional sauna, a wood burning spring water hot tub, a large BBQ, garden areas, a challenge course and plenty of room for groups. 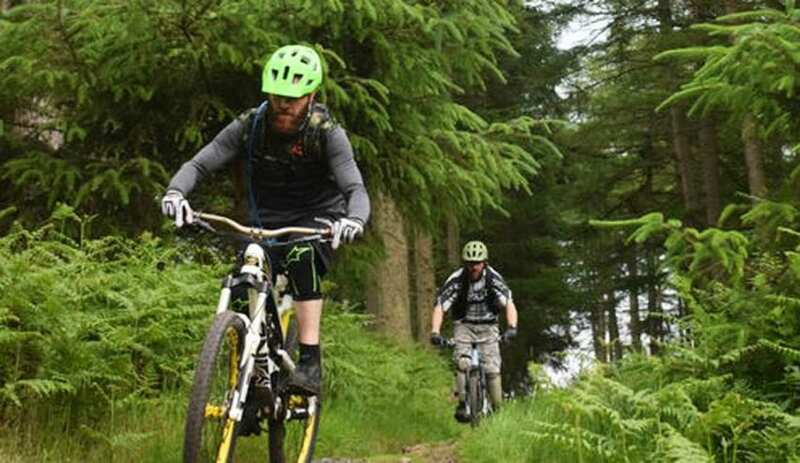 The forest has a variety of mountain bike routes, ranging in length and difficulty and the 7Stanes mountain bike trails are nearby. 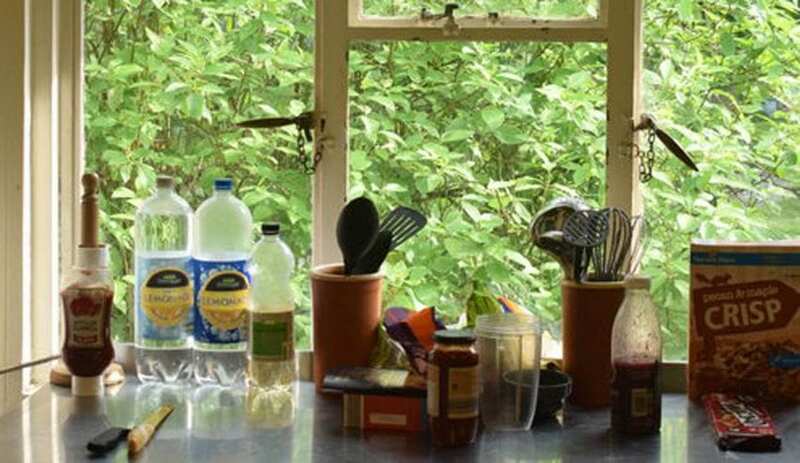 As well as having self-catering facilities, group meals are available to order. Marthrown is suitable for all age groups. Facilities include store for bikes and equipment and a large dining area suitable for meetings. For something a little different why not try staying in the Roundhouse or Yurt? 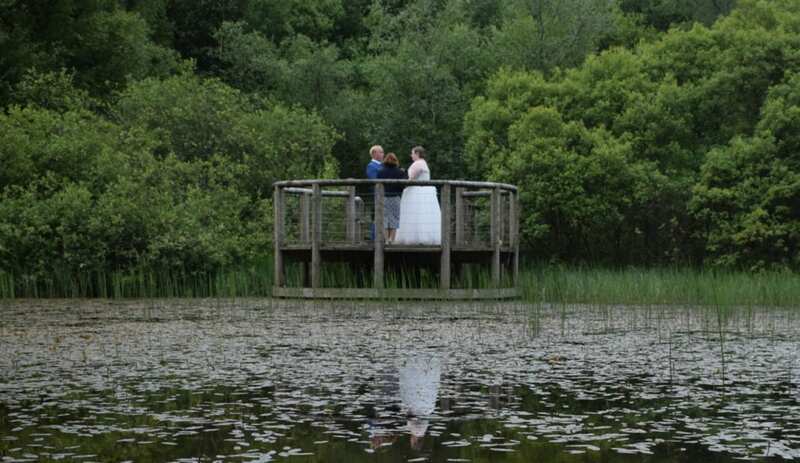 Are you looking for a completely different type of Scottish wedding venue to tie the knot? 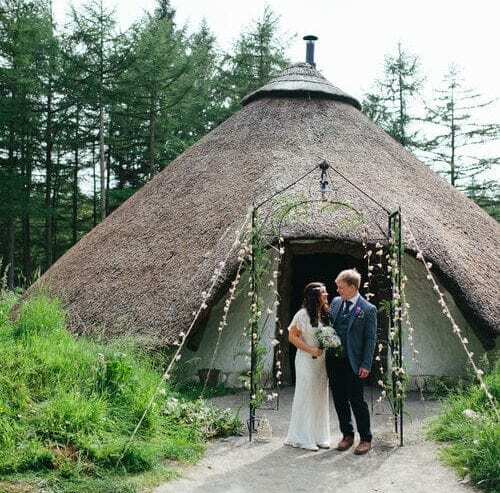 The Bunkhouse, Roundhouse and Yurt are also available for forest and outdoor weddings, see website for more details. 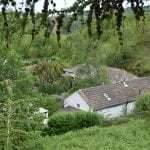 This accommodation is featured on our map of the Scottish Borders, Glasgow, Edinburgh and South Scotland and here is its own website. 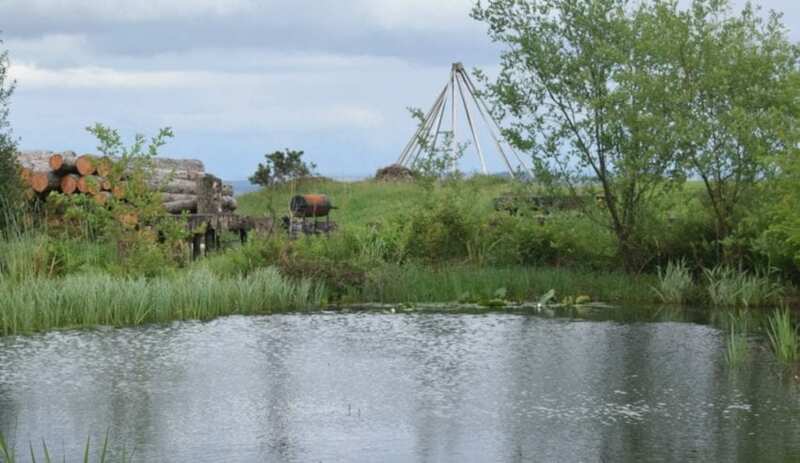 26: 1x8,1x7,1x6,1x5 + Roundhouse, 2 Yurts, Tipi and camping. All year. 24 hours - late arrival by arrangement. From Dumfries take A710 (west) to Mabie Forest passing through the village of Islesteps. Turn right signposted Mabie Forest and Mabie House Hotel. 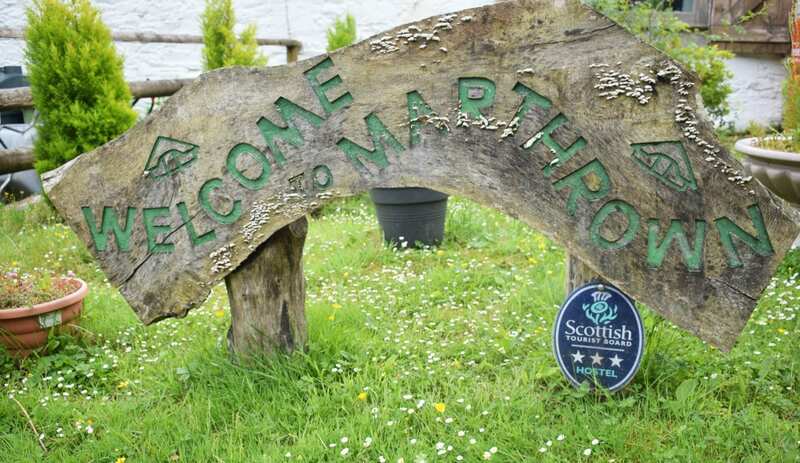 Follow tarmac road over speed bumps to the end of the hotel and forest rangers office, through courtyard and onto forest track, Marthown is signposted and is exactly one mile into the forest. From Dumfries (White Sands) take the Stagecoach bus service 372 to Mabie Forest. It is best to arrive in daylight. 1.5 mile walk from road. This accommodation allows dogs by arrangement, is available to individuals, is an 'Eco Hostel', has a pub within walking distance and is on the Wedding Venue page, the Hostels that welcome stag and hen parties map and the Land's End to John O' Groats Cycle Route. Whether you want your ceremony outside in the forest or inside the Roundhouse Marthrown of Mabie will give you a unique special day. 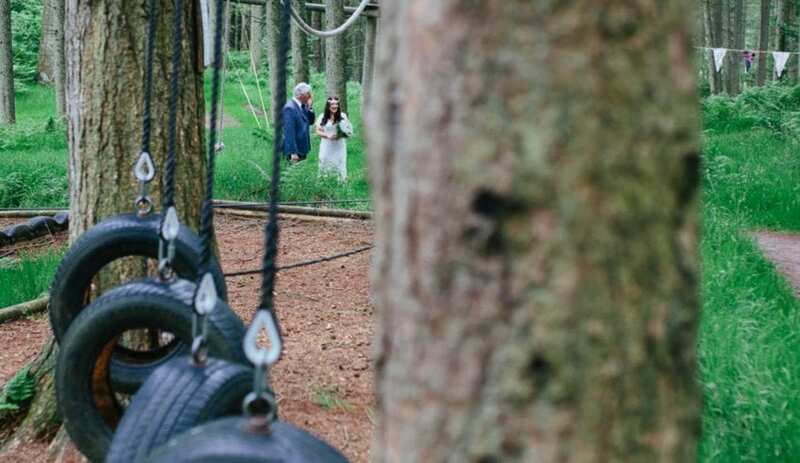 How about getting married at Marthrown of Mabie near Dumfries in south west Scotland? We have all the contacts you may need from Piper to preacher. A Local Brewery which delivers Real Ale to Ceilidh band. Catering can be provided for your needs and budgets. (Hog Roasts are always a favourite!). 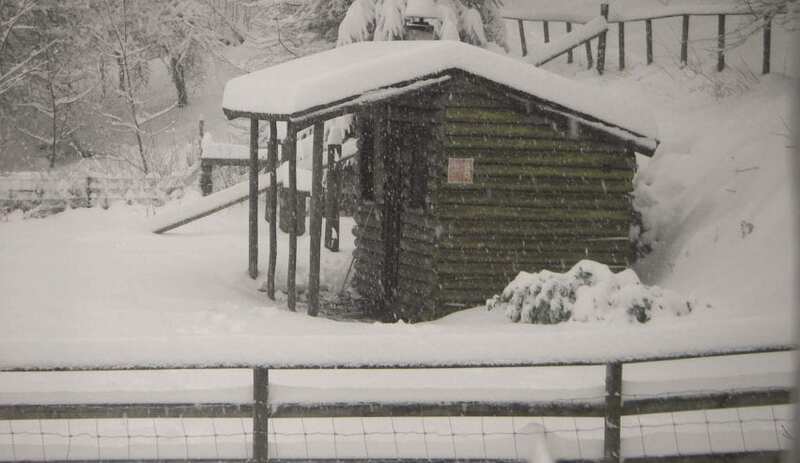 Now, it may seem odd at the height of summer to be posting a Natter accompanied by a snowy picture of Marthrown of Mabie (Dumfries) Bunkhouse, but many groups have booked their New Year and Christmas accommodation already. So add the snowy sauna scene to the wood burning stoves, spring-water hot tub and peaceful forest setting and I think we’re getting close to an ideal place for alternative winter celebrations. 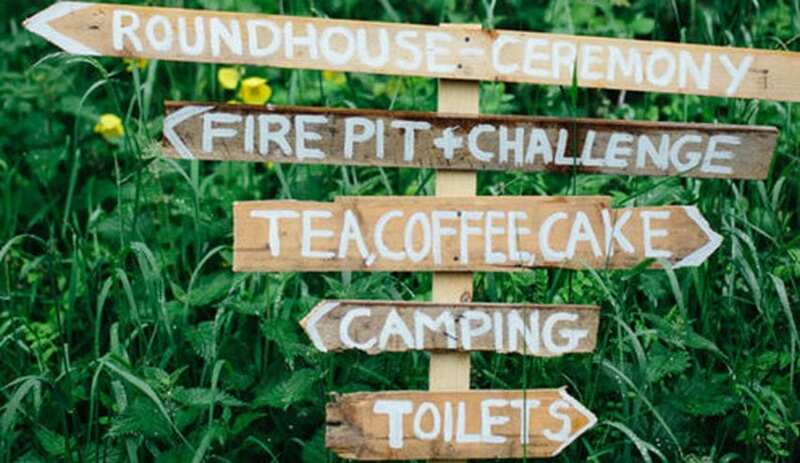 There is accommodation is in the Forest Bunkhouse , as well as a Tipi , two Yurts , and wild camping area with stunning views over to the Lake District. 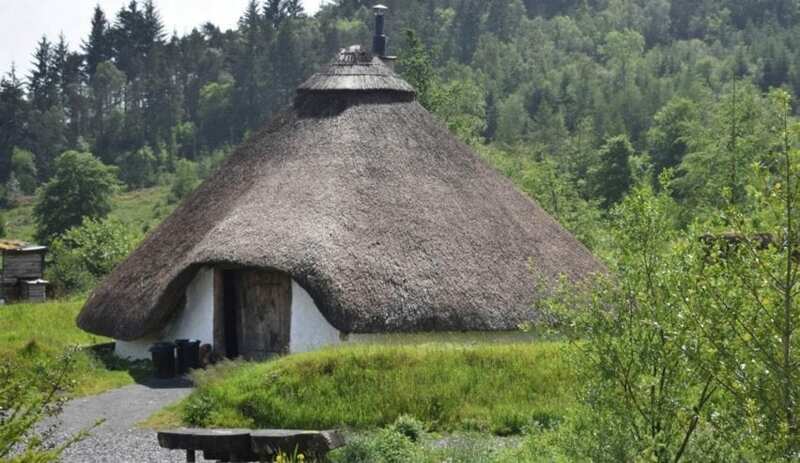 But what really grabs the attention is their famous Iron Age Roundhouse. Why not go on the Wild Side this Hogmanay ? Marthrown is offering something a bit different. WHY NOT GO ON THE WILD SIDE THIS HOGMANAY? Marthrown is offering something a bit different. 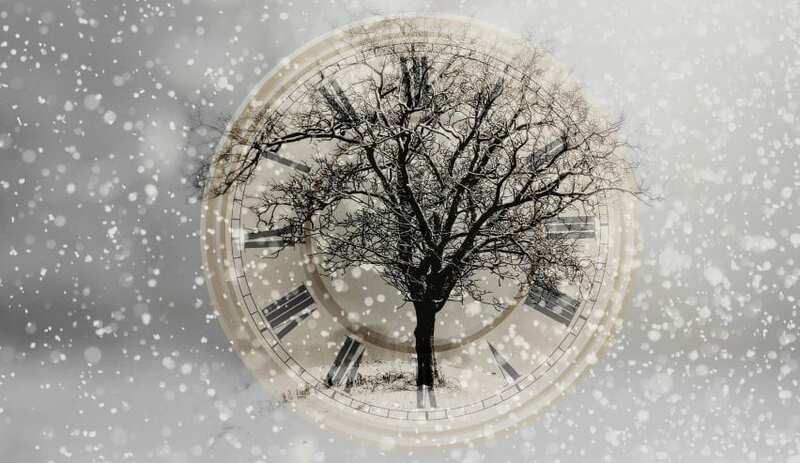 To start the celebrations off (served between 6-8pm) Locally caught wild venison spit roast and mulled wine (all cooked over log fires of course!) served in a roll with all the trimmings and strudel for desert. Bring your own booze and fire works if you wish. 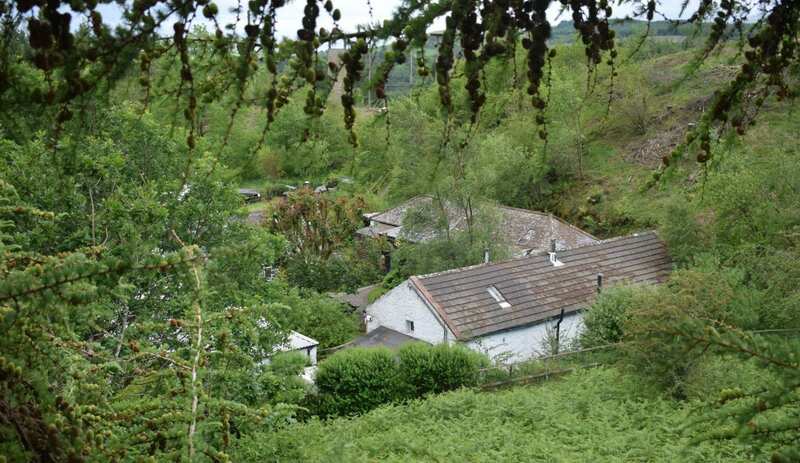 £35 per head including accommodation, so no concerns about driving or expensive taxis. Minimum group size 20. Additional nights and meals also available. Please ring 01387 247900 for further info or to book.